I don't want to be buried in a dress. I'm a football fan. I don’t want to make the wrong decision for the one person who always made the right ones. Life insurance? Retirement plan? Wills? You’re still not done protecting your family. 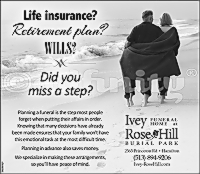 Don't feel like planning your funeral? Your wife will have to do it for you. 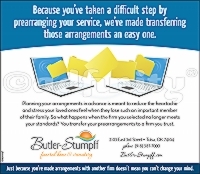 Because you've taken a difficult step by prearranging your service, we've made transferring those arrangements an easy one. 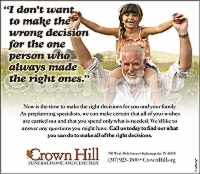 You'd rather use [funeral home name]... trust me.